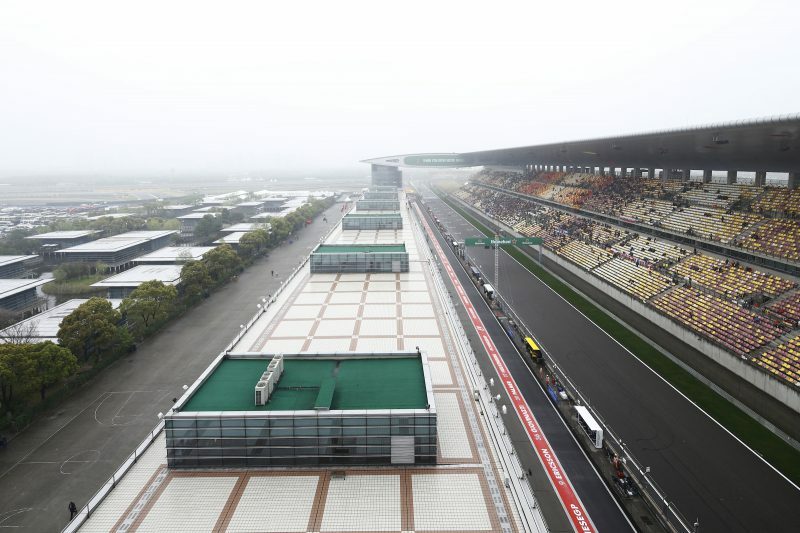 The Chinese Grand Prix might be the third of the 2019 season – but it is much more than that as it is also an historic event as it is the 1000th GP in history. The first ever World Championship Formula 1 race took place in Britain in 1950 at Silverstone. That day an Alfa Romeo driven by Juan Manuel Fangio. And this year, we could very well see another first-time winner driving a red flying machine, as Charles Leclerc is favourite to win in China. Leclerc dominated in Bahrain two weeks ago, before an engine issue saw him limp home in third, gifting the win to Mercedes and Lewis Hamilton. And although Mercedes are way ahead in the Constructors Championship – that has mainly been down to Ferrari’s reliability issues and team boss Toto Wolff is well aware. “We expected them to be strong in Melbourne after what we’ve seen in terms of pace in Barcelona,” he said. “So Melbourne was more the surprise than actually Bahrain. Bahrain was very strong [for them]. Leclerc himself is refusing to get carried away, but he is hoping to continue his fast pace in China. “Of course there’s a lot to improve. At the end I’m only in my second year in Formula 1, there’s a long road ahead and I definitely have a lot of things I need to learn. I think experience is something that you cannot really learn but that will come, races after races,” he said. “I already feel quite a lot more comfortable in the car compared to where I was in Australia. I’m pretty sure in China it will be better than now. There is a lot to learn. I think on the feedback also out of the car Seb is a pretty good benchmark on that and I still have a lot of work to do. Mercedes have taken a 1-2 double so far, taking 1st and 2nd in both GPs this season. However, all is not exactly as it seems as Ferrari’s Charles Leclerc was well on track to take his first ever F1 win before being cruelly denied by engine issues late on last time out in Bahrain. This gives the early leaderboard somewhat of a slanted view, although there is no doubt that Mercedes have shown solid early pace. Leclerc finds himself favourite for this race at 6/4 after his exploits last time out. However, for me there a is a couple of small doubts about his chances at the odds. First, it has been clear so far this season that Vettel is Ferrari’s number one man. Although he has spun out far too many times for comfort recently, he has a distinct advantage over his young team mate should it come to Ferrari implementing team orders at any point. There is also the fact that Ferrari have reported they have found the issue which caused Leclerc heartbreak in Bahrain and that he will race with the same unit in China. Whilst I am no expert in engines and it is more than likely corrected to perfection, it’s a consideration when selecting a first time winner at that price. However, he certainly wouldn’t be short of elated supporters should a new superstar hit the top of the podium for the first time. 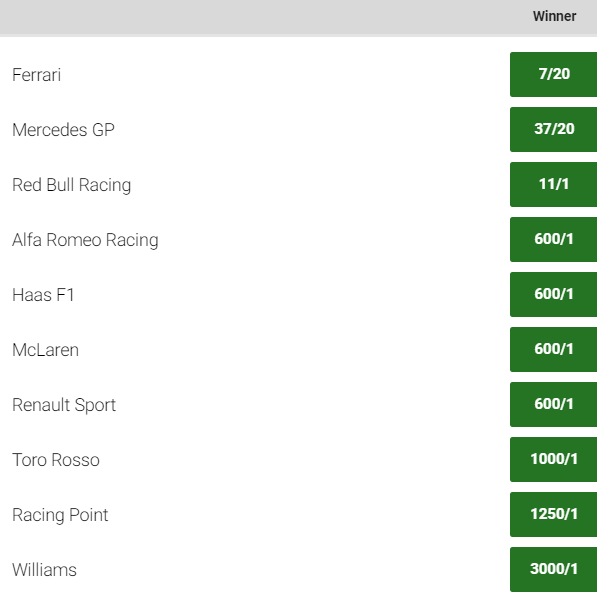 Vettel is then second favourite at 7/4. Although undoubtedly talented, his winless streak now goes back a very long way and he has received wide spread criticism for some of his driving exploits in recent times. Although he has every chance of winning, I would prefer to see him back on top of the podium before suggesting him pre-race as a pick. Lewis Hamilton finds him self out in 3rd in terms of favouritism, priced at 11/4. 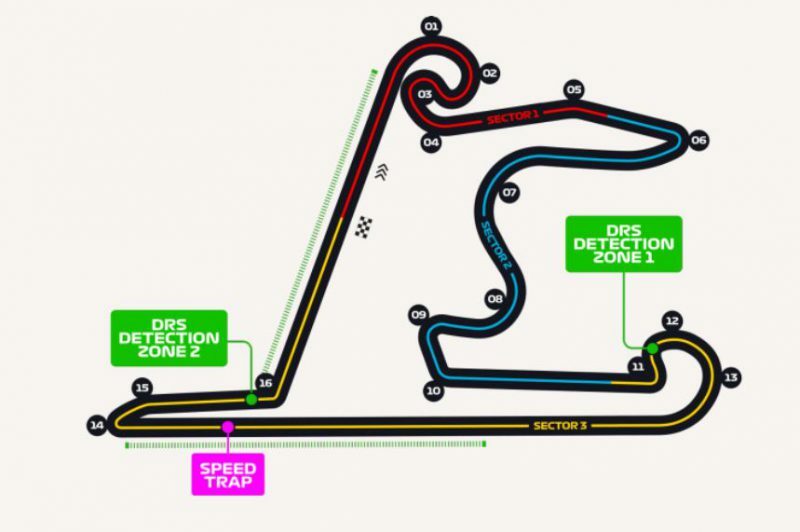 Given that Mercedes have won 4 of the last 5 outings at Shanghai International Circuit, that could certainly represent some fantastic value given the above doubts around the Ferrari pair. 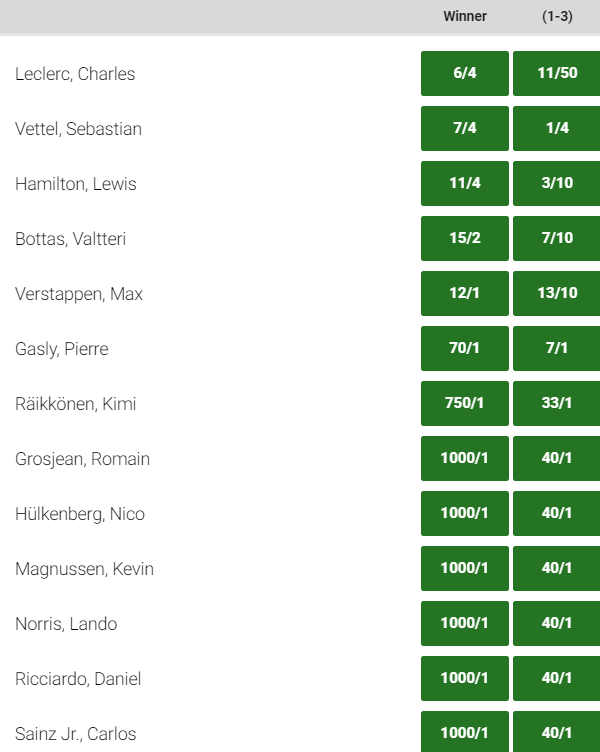 Ever reliable and with a car which shows good speed and performance in the early part of the season, it is harder to pick holes in Lewis than the other two and he is probably the pick here given the prices.